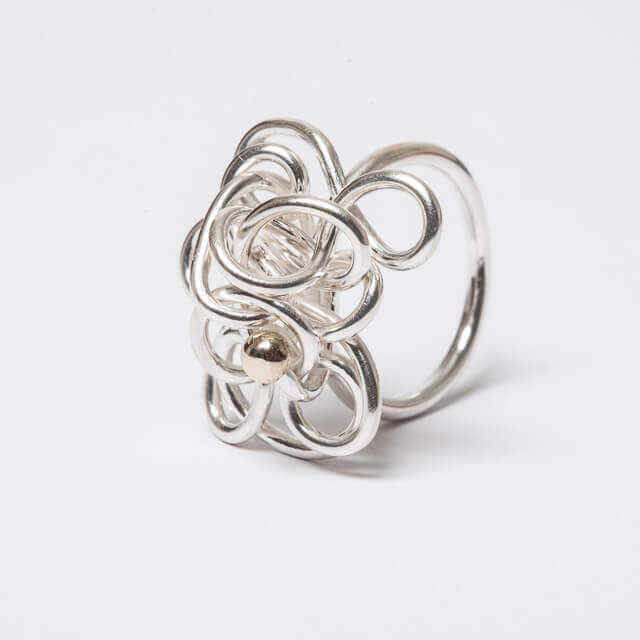 Satin finished silver wire ring topped with a gold dot. 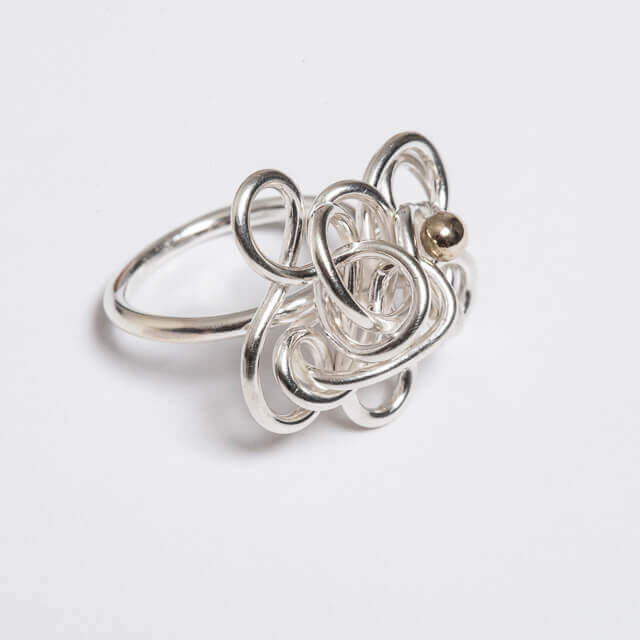 Satin finished silver wire ring with one gold dot. The horizontal shape is very flattering and the silver and gold contrast beautifully. 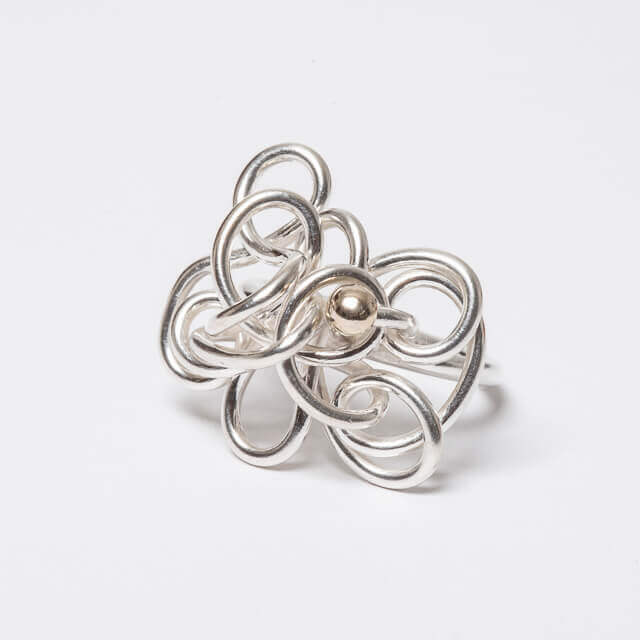 Wear this one of a kind ring with any style and feel unique. 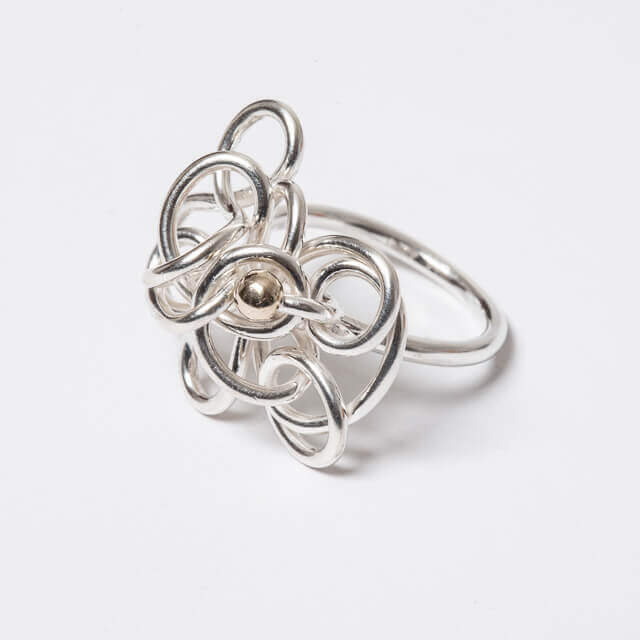 Part of the Entwined Collection which is inspired by ancient and classical symbolism. Soft fluid lines intertwine creating an intricate and unique piece. Please select your ring size so we can tailor this piece to suit you!